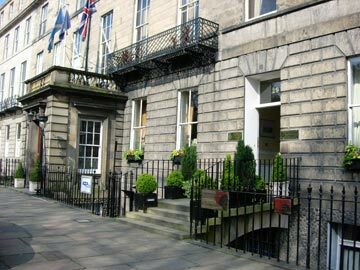 A Club and Townhouse in the heart of Edinburgh. Situated in one of Edinburgh's finest Georgian streets this is a rare combination; the charm of a country house with a cosy club atmosphere. More personal than a hotel, the Club is a perfect home from home to relish the culture and character of Scotland's capital city. 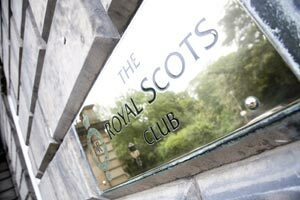 Founded in 1919 as a tribute to those who fell in the Great War, The Royal Scots Club is proud of its heritage. Traditional values are very important. Courtesy, personal service and warm hospitality are at the very heart of The Club. The fabric of the building exudes charm with an ambiance that is relaxed and comfortable. The Club is open for members and non-members alike, for bed and breakfast accommodation, excellent cuisine in The Club Dining Room, as well as special banquetting and conference facilities. Dining rooms, conference and leisure facilities. Bedroom accommodation, tariff and location map.